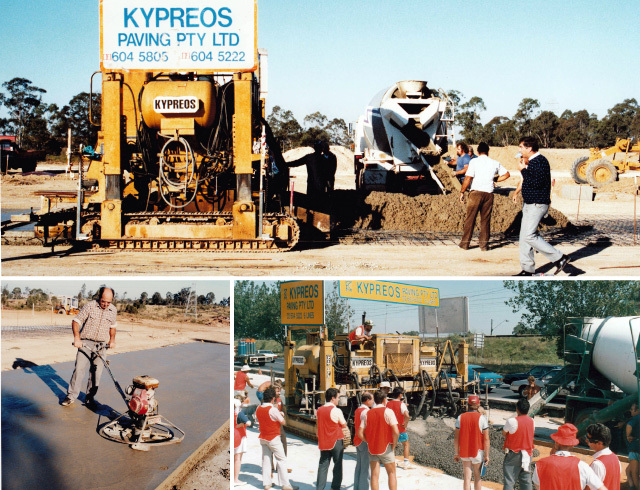 Founded by George Kypreos in 1970, the Kypreos Group is built on the principles of honesty, quality of workmanship and commitment to clients. Having evolved from a civil engineering foundation, the Kypreos Group has developed into a multi-faceted organisation with the ability to deliver end-to-end engineering solutions. Preserving the original values established in 1970, the Kypreos Group is committed to both its' clients and staff. Through a customer-led approach, the Kypreos Group ensures that clients achieve innovative solutions to their engineering problems that are delivered within budget and on time. This dedication has seen the Kypreos Group develop long term relationships with high profile clients in a number of industries. Beyond achieving quality projects, the Kypreos Group strives to be an employer of choice. Encouraging personal development, professionalism and safety, the Kypreos Group have developed a culture of aspiration and provides staff with the support to continue to achieve excellence.